Israeli President Shimon Peres and Palestinian leader Mahmud Abbas called for peace on Sunday at an unprecedented prayer with Pope Francis on Sunday amid heightened tensions between the two sides. Peres said peacemaking was a "duty" and a "holy mission" at the spiritual event in the Vatican Gardens, and Abbas called for a "comprehensive and just peace" that could bring stability to the Middle East. Joined by the Orthodox Patriarch of Constantinople Bartholomew I, the three spoke after hearing Christian, Jewish and Muslim prayers and musical interludes. Abbas said: "We want peace for us and our neighbours." The four leaders then symbolically shovelled soil for a newly-planted olive tree and held a closed-door meeting in a Vatican pavilion, following the collapse of US-backed Middle East peace talks earlier this year. 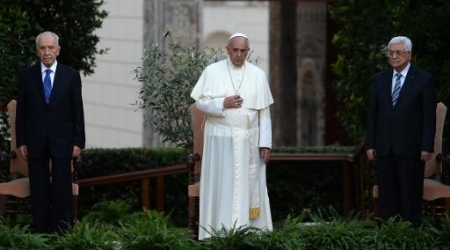 Francis called for the "courage" to make peace. "Peacemaking calls for courage, much more so than warfare," said the Argentine pontiff, who invited the two during his visit to the Middle East last month. Israeli-Palestinian negotiations, mediated by the US in July 2013 after a three-year-hiatus, have collapsed in late April 2014 after ‘Israel’ reneged on its promise to release Palestinian prisoners. According to Israeli media, a Palestinian rocket was fired from Gaza at midnight, this morning, into open area in Ashkelon. In related news, Israeli Minister of Economy Naftali Bennett has stated that the failure of peace in the region is due to Gaza rocket fire. The sources stated that an alarm siren rang out for a few minutes before the rocket exploded in the area. 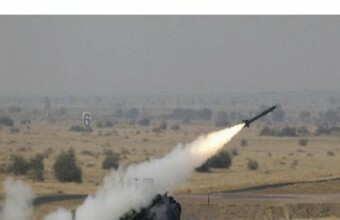 However, the PNN reports that the rocket was spotted by Israeli military bases near Gaza's borders. In a related context, Israeli soldiers opened fire at Palestinian farmers, east of ash-Shujaeyya. 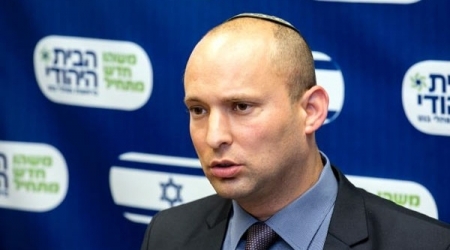 Furthermore, the PNN reports that Israeli Minister of Economy, Naftali Bennett, declared this morning that Israel has tried negotiating with the Palestinians for 21 years but that this has failed, because Israel has been attacked by Palestinian rockets from Gaza. He added that the Oslo agreement ended after the new Palestinian unity government was announced, in disagreement with Israeli Minster of Finance, Yair Lapid, over his plan of separating Palestine in a two state solution. Lapid's party has suggested that they should freeze the biggest settlement projects and attempt a real peace agreement with the Palestinians and moderate Arabic countries. He said that if PM Netanyahu connects the Israeli settlements in the West Bank, according to the Jewish Home Party's plan, this decision will lead to the destruction of the Israeli government. The Secretary Ministry of Foreign Affairs of Japan stated by press release on Sunday on the decision regarding the construction of housing units in East Jerusalem and the West Bank. 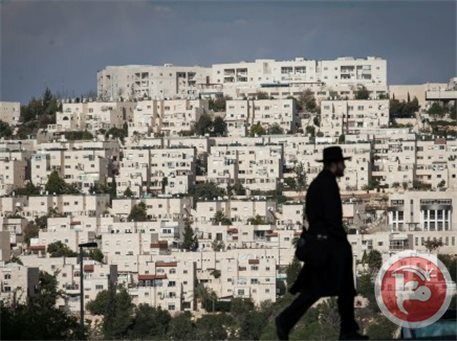 The Government of Japan deeply deplores that the Government of Israel has published tenders for the construction of a total of about 1500 housing units in the Jewish settlements in East Jerusalem and the West Bank. 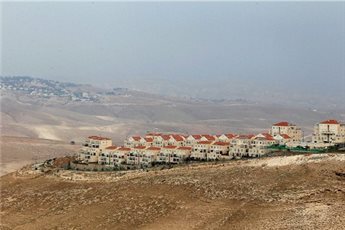 The Israeli Government continues its plans for settlement construction, which clearly goes against the ongoing efforts by the international community toward realizing a two-state solution. Settlement activities are a violation of international law, and Japan has repeatedly called upon Israel to fully freeze settlement activities. The Government of Japan strongly calls upon Israel to refrain from any unilateral act that changes the current status of East Jerusalem as well as the West Bank and to desist from implementing the above-mentioned plans of construction for the sake of progress in the peace process. 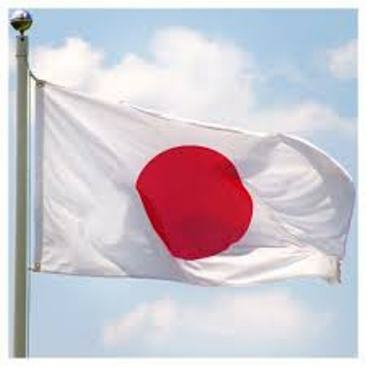 Japan once again strongly urges both Israeli and Palestinian sides to act to enhance mutual trust and continue to make steady efforts for peace. 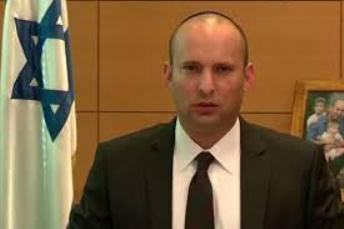 Neftali Bennett, the Israeli Minister of Economy, disagreed with the Israeli Minster of Finance’s plane of separating Palestine in the two state solutions. Bennett declared this morning that Israel has tried negotiating with the Palestinians for 21 years but that this has failed, because Israel has been attacked by Palestinian rockets from Gaza. He added that Oslo agreement ended after the Unity government was announced. Lapied declared that he would destroy the Israeli Government, if the Israeli Prime Minister agrees to connect the Israeli settlements in the West bank with the Israeli state and that he is always ready to go on election. 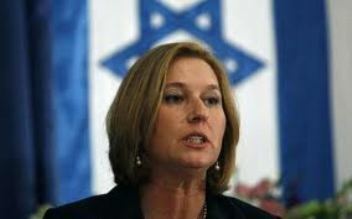 The Israeli Minister of Justice, Tizpi Livni, stated that the Israeli settlement in the West Bank is a political encumbrance and the Israelis should continue the negotiations with the Palestinians. Livni called upon the Israeli Prime Minister, Benyamin Netanyahu, in her speech on Sunday at the Hartselia conference, to continue the negotiations with the new Palestinian government. She added that the Israeli authorities should distinguish between the new government and Hamas, and should not fight with the new Palestinian government, but instead work with the new government that matches the Israeli needs. She informed that The Palestinian President, Mahmoud Abbas, set the new government according to the Quartet on the Middle East conditions, which are recognized in Israel, and respect the former agreements. Moreover, the Israeli authorities should review the new Palestinian government through their activity and not through the Parties within it. Most of them do not accept the two state solutions, as the rest of the world has recognized. She concluded that the negotiations will continue with the Palestinian Liberation Organizations, which does not include Hamas. Yair Lapid, the Israeli Minister of Finance, called the Israeli authorities to set the borders of the state of Israel. Lapied announced in his speech, in Hartsellia Conference, that if Netanyahu connects the Israeli settlement in the West Bank, according to the Jewish Home party plane, this decision will lead the Israeli government to destruction. He added that it is time to draw the Israeli borders on basis of a real peace agreement with the Palestinians. His party suggested that they should freeze the settlement project of the biggest settlements and have peace a agreement with the Palestinians and the Arabic Moderate countries. A Palestinian unity deal with the Hamas movement must be supported, European Commission chief Jose Manuel Barroso told an Israeli security conference on Sunday. His remarks came just days after a Palestinian unity government, comprised of political independents but backed by Hamas, was sworn in -- a move welcomed by the international community but rejected by Israel as a major stumbling block to peace. 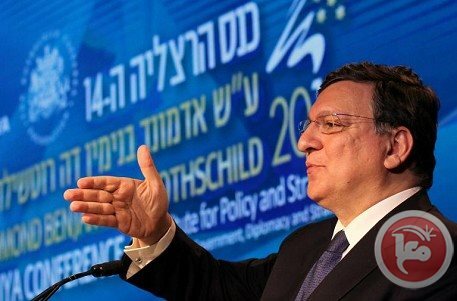 "In the interest of a future peace deal and of a legitimate and representative government, intra-Palestinian reconciliation... should be supported," Barroso told delegates at a conference in the coastal city of Herzliya. Any Palestinian government should uphold the principle of non-violence, be committed to a two-state solution and a negotiated settlement of the conflict, which would imply accepting existing agreements as well as recognizing Israel's right to exist, he said. When news of the surprise reconciliation agreement between leaders in the West Bank and Gaza emerged in late April, Israel immediately broke off US-led peace talks, saying it would never negotiate with any government backed by Hamas. "The Palestinian unity government with backing from the Hamas terrorist organization is a Palestinian step against peace and in favor of terrorism," Israeli Prime Minister Benjamin Netanyahu said on Tuesday. "No European country would be prepared to accept a terrorist organization as part of its government," he said. Barroso also called on Israel and the Palestinians to find the "political courage" to take decisive steps "to bet on peace." "The status quo may seem politically safer in the short term but it cannot deliver any long term gains," he said. "Leadership is about making possible what is necessary, and peace is necessary in the region. 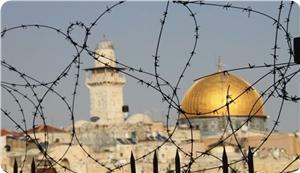 Security for Israel and a state for the Palestinians are moral imperatives for the international community." Also speaking at the Herzliya conference, Israeli Economy Minister Naftali Bennett, who heads the far-right Jewish Home Party, called anew for a tough response to the Palestinian government formation. 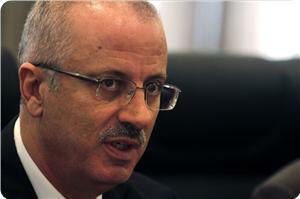 Israel should hit back by "imposing its sovereignty over Judea-Samaria (the West Bank)," he said. "I call on the prime minister to take the first step towards annexation." 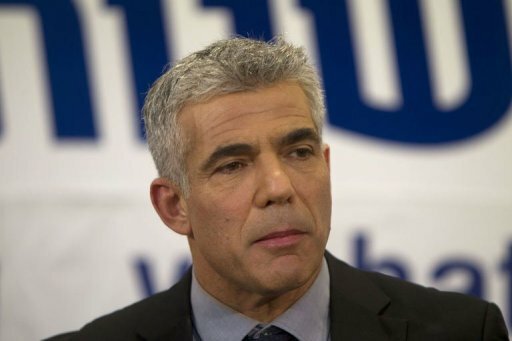 But Finance Minister Yair Lapid warned that his centrist Yesh Atid party would quit the coalition government and bring down the cabinet if any such plan went ahead. Also on a visit to Gaza Sunday, Robert Serry, UN special coordinator for the Middle East peace process, voiced the UN's support for the Palestinian unity government. "The formation of the government of national consensus is a first step and opportunity to address the serious political, security, humanitarian and economic challenges ahead," Serry said in a statement. He also called for lifting the blockade of the Gaza Strip and allowing the free movement of the new Palestinian ministers between Gaza and the West Bank. 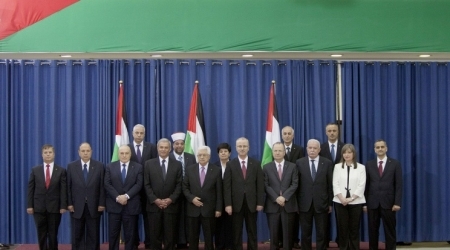 The international community has given overwhelming backing to the formation of a Palestinian unity government. 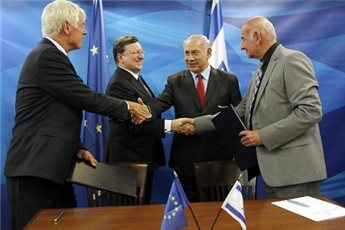 Israel on Sunday signed a key European-funded scientific research program despite guidelines barring funding to settlement-linked projects, officials said. Israeli Finance Minister Yair Lapid said Sunday that he would bring down Prime Minister Benjamin Netanyuhu's government should the latter attempt to annex Jewish-only West Bank settlements, according to Israeli media. 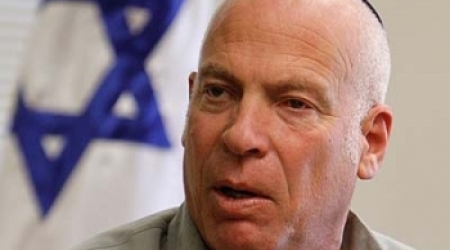 Haaretz reported that Labid -- founder of the Yesh Atid political party -- also called on the Israeli PM to present a map of Israel's borders with a future Palestinian state. Israeli premier Benjamin Netanya declared a unilateral plan to separate the Jews from the Palestinians in the West Bank in order to maintain what he described as the Jewish character of Israel, according to the Israeli newspaper Makor Rishon on Friday. The newspaper said that Netanyahu shockingly tabled his plan during a meeting last Monday with members of the Knesset foreign affairs and defense committee. Knesset members who attended the meeting told the newspaper that Netanyahu left some of them confused without clarifying how he would carry out such a plan. Netanyahu also told the attendees that he would not engage in any contacts or talks with a Palestinian government backed by Hamas and that it would be the right time to take such a unilateral measure. 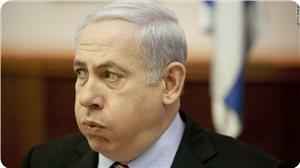 "I don't want one state from the Jordan River to the Mediterranean Sea," the newspaper quoted Netanyahu as saying. "Even if the demographic balance does not change to our detriment and there is a Jewish majority, it is still obvious that we need to have a Jewish majority that is overwhelming and for that state to be democratic." "And that is why we need to come to a separation," he noted. The newspaper said that although Netanyahu did not table a clear-cut plan, it looked like the 2005 disengagement plan in Gaza, which had been executed by former premier Ariel Sharon. The Palestinian Authority (PA) and Jordan strongly denounced the Australian government for deciding to stop considering east Jerusalem an occupied city. Nimer Hammad, the political advisor to the PA president, condemned such a position as shocking and reprehensible, affirming that it violates the UN resolutions about the holy city. For his part, spokesman for the Jordanian government Mohamed Momani stated in press remarks that Jordan rejects the Australian position towards east Jerusalem. Momani stressed that Jordan considers east Jerusalem an occupied territory and part of the Palestinian lands that were occupied by Israel in June 1967. He said that the definition of east Jerusalem as an occupied land is one of the basic terms of reference of the peace process. The European Union expressed its "deep disappointment" on Thursday about Israel's announcement of a new move to build around 1,500 homes in Jewish-only settlements across the occupied West Bank. "We call on the Israeli authorities to reverse this decision and to direct all their efforts towards an early resumption of the peace talks," the EU said in a statement, stressing that the move was "unhelpful" for peace efforts. "The EU and its Member States have repeatedly called on all sides -- most recently in May -- to exercise maximum restraint and to avoid any unilateral action which may further undermine peace efforts and the viability of a two-state-solution, such as continued settlement expansion," the statement continued. "What is needed right now is constructive engagement, in order to create a climate conducive to resumed negotiations." Earlier Thursday, Israel announced that it would be building 1,500 new settlement homes in the Occupied Territories, including 400 in East Jerusalem and the rest elsewhere in the West Bank. The move comes in response to a Palestinian unity deal that brought together Fatah and Hamas into one government for the first time in seven years. 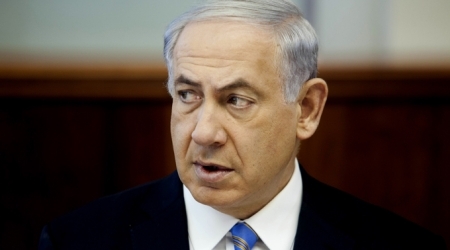 Israel rejects the deal, however, because it considers Hamas a terrorist organization. The US administration addressed an official invitation to Palestinian premier-elect Rami al-Hamdullah to visit Washington. Hebrew daily Yediot Ahronot quoted a Palestinian official as saying that the invitation, which was addressed shortly after Hamdullah’s appointment as the premier of the national unity government, constituted an American recognition of that government. The paper pointed out that Washington had declared that its recognition of the new Palestinian government was hinged on its approval of the international quartet committee’s conditions that stipulate recognizing Israel, shunning violence, and endorsing past agreements with Israel. President Obama gave a comprehensive speech on Wednesday at night on his foreign policy to West Point cadets. He related at length to the war in Afghanistan, to the civil war in Syria, to the crisis in Ukraine and to the nuclear talks with Iran, but in contrast to his previous speeches on foreign policy, he did not mention the Israeli-Palestinian conflict even once. Even his secretary of state, John Kerry, who interviewed yesterday to a number of leading TV networks in the US, did not say a word on the subject that until a few weeks ago, was his flagship project. 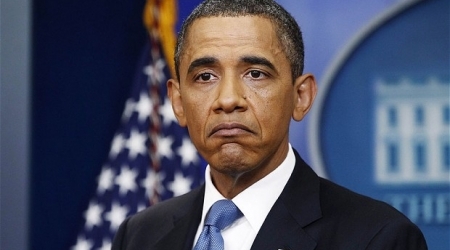 Washington was not surprised by the fact that the Israeli-Palestinian conflict was left out of Obama’s speech. The president’s wish to sever contact with Kerry’s failed attempt is no secret. True, only eight months ago, Obama said in a speech to the UN Security Council that the two-state solution was a vital interest of the US, but at this time, the American president has more urgent interests—not just in Ukraine, Syria and Iran, but also in the relationship between the administration and Israel.